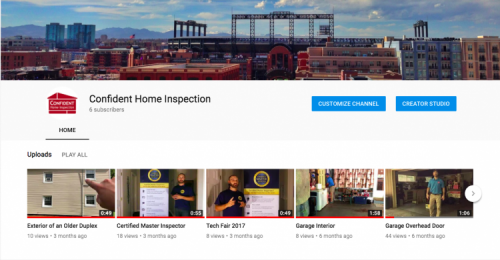 The qualifications, methods, experience, and pricing of home inspectors can differ widely. Most of all, a thorough home inspection depends on the inspector’s conscientious effort on behalf of his client. While the inspector’s training and experience should be the first question a client asks, the cost of a home inspection is typically the first concern. The age, construction type, and size of the home are the determining factors of an inspection fee. Companies that charge very low fees are usually just starting out or do many inspections per day. This should lead you to question the quality of the inspection and subsequent report. Clients generally pay a Realtor 4-6% of the selling price to write a contract and provide their expert advice in the buying/selling process, which costs thousands. We inspect homes to save you thousands of dollars in repair costs. If you give me the honor of inspecting your new home, I guarantee my most thorough, attentive effort. I’ll inspect your home just like it’s my own. Britt is the head inspector and chief stewarding officer (CSO) of Confident Home Inspection. After working on various homes for family and friends, he began the business in 2014. Britt’s background in teaching, painting, and DIY work give him an eye for detail and knowledge of home systems inside and out. He loves talking with clients about issues large and small, helping them to understand each property. Other than crawling around an attic or crawlspace, Britt enjoys basketball and soccer, studying the gospel, playing with his children, and laughing with his wife. A Raleigh native for over 30 years, Mr. Treece looks forward to meeting you anywhere in the Triangle (and sometimes beyond!). Britt also runs WBTreece Consultants, a commercial inspection firm based in the Raleigh-Durham, NC area. Virginia is the project manager at Confident Home Inspection. She has been with Confident Home Inspection since the spring of 2016. Virginia’s background is in marketing but her love for real estate and DIY work give her a keen understanding of the ins and outs of home ownership. She enjoys her role in helping clients understand their property. Virginia is a follower of Christ, wife, and mother of 3. In her free time, you can usually find Virginia tinkering with some project, painting a wall, or refinishing a piece of furniture, and you can be sure there is always a cup of coffee nearby.